In the space and time of this twenty-minute presentation I will look closely some of the fundamental social and philosophical premises of our current-day artistic dance practices and dance worlds. And so I will offer vital questions about the ethics and ethno-histories of professional (artistic) dance, as well as some initial responses, with the intention of furthering local and global conversations about these issues. To begin envisioning a future of healthier dancers — healthy in body, mind and “spirit” – let’s look at some of the recent significant shifts in dancer’s training and choreographic practices in the light of a globalizing, postmodern dance world. I think we can all agree that few of the world’s dancers have remained indifferent to these changes as they engage with the outcome of new technologies, new knowledge and discourse in the natural and social sciences, changing economic contexts, the mobility of dancers, the advancement of dance research in critical and cultural studies, and more. By way of example, the vitality of dancers’ “live presence” is at once enhanced by the digital arts, while at the same time it is challenged by the seemingly magical capabilities of virtual dancers in cyberspace. And so from my perspective as a former dancer and dance teacher, and currently live arts curator and dance anthropologist, it seems to me opportune that we reconsider some of our fundamental beliefs and cherished myths about how we conduct ourselves and live together in our dance world so that we might move towards more healthful, and also more respectful and humane, dance practices. To instigate this change of mind we might ask ourselves questions such as: How might dancers train in order to safely navigate the vast and varied creative imperatives of postmodern (and modern and classical) choreographers, who are demanding an ever-increasingly virtuosity, the mastery of many dance styles and elite athletic skills from interpreters? Might it be possible to systematically require dance-makers to consider the ethical outcome of their creative processes, aesthetic preferences and choice of performance conditions, on the well being of dancers and even audiences? How can we teach and choreograph so that we can continue dancing professionally throughout our lives? And not least: Why do we persist in idealizing “perfect” (unhealthy) bodies and so rarely choose to offer the full range of humanity onstage in our artistic creations – as do artists in other performing art forms? In what follows, I will put forward further fundamental questions and responses that I hope will advance our conversations about the ethics we employ in our practice. By ethics I am referring to the agreed upon principles and values that any given group or community abide by, and which determine what is right and wrong, good and bad, how to of behave and interact with each other as we teach, create, research and perform. 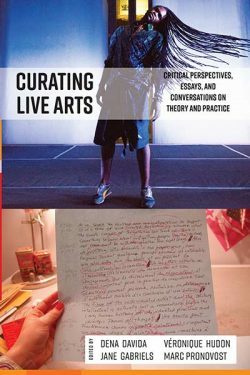 Although I have narrowed the scope of this paper to look specifically at dancers, this conversation must also eventually, inevitably include spectators, critics, funders, arts managers, curators as well as all manner of dance event participants. Dance researchers Naomi Jackson and Sylvie Fortin remind us that if we want to effect this kind of fundamental change, it is everyone’s responsibility. So then: what kind of training programmes and systems, both in dance studio settings, dance conservatories, and educational institutions like universities, might best prepare dancers for current day realities? As pedagogical and choreographic practices are quickly diversifying, this may be a crucial time to rethink, for example, the composition of the requisite daily technique class. (Do all dancers still “take a daily class”?) Perhaps we are ready to collectively agree on one new idea: that in the wake of globalization and post-colonialism there is no longer the possibility of a single utopian “neutral” or “basic” way of training all dancing bodies (and minds). In fact, each existing dance style, form and system has determined its own particular “body attitude”, as dance theorist Rudolf Laban would say, as well as values and principles, which are spring from a deeply-rooted philosophical world view and history of its own making. In preparing for this conference I came across an aging copy of The Healthy Dancer in a corner of my bookshelves. This anthology was edited in 1987 by Allan J Ryan M.D. and Robert E. Stephens Ph.D., and was only one of a significant group of books from the 1970s and 1980s conceived to supplement dancers’ training (to name only a few: Clarkson & Skrinar’s Science of Dance Training in 1988, Fitt’s Dance Kinesiology in 1988 and from France, Calais-Germain’s Anatomie pour le movement. Tome 1: Introduction à L’analyse des techniques corporelles in 1984). Scanning the table of contents of The Healthy Dancer reminded me that it was only three decades ago that the discussion surrounding professional dancers and health, at least in North American and UK modern dance and classical ballet communities, was largely devoted to a scientific paradigm rooted in anatomy and kinesiology, proposing the application of scientific principals to help avoid and treat injuries. Our presumptions then (myself included) were that injuries were kin to the very nature of professional dance, an unchangeable fact of life. At the time, we all seemed to agree that dancers, and especially dance teachers and health providers, needed more systematic, in-depth information about those scientific concepts. And then I was reminded that at the same time and even earlier, a burgeoning field of what we now call “somatic” practices was on the rise. These alternative, experientially based body/mind techniques – Rolfing, Feldenkreis, Alexander, BodyMind Centering and so on — were laying ground for what I have come to understand as a somewhat gentler, more introspective kind of dance training, at the time barely visible to the professional dance milieu. I first came across these kinds of teachings in the 1960s, as I literally fell into Contact Improvisation. A precursor in this body of literature, another frayed (and dog-eared) volume on my bookshelves, was Mabel Todd’s The Thinking Body; A Study of the Balancing Forces of Dynamic Man from the 1930s. There is a wide range of books in this somatic lineage which propose various perspectives on this kind of sensate, sensitive and introspective way of moving. A few emblematic examples: Fortin’s Danse et Santé in 2008, Olsen’s BodyStories: A Guide to Experiential Anatomy in 1991, Franklin’s Dynamic Alignment Through Imagery in 1996, and, from France Rouquet’s La tête aux pieds/Les pieds à la tête: Esquisses 89-90 from 1991. And certainly some of this somatic lore, with its “soft” scientific evidence and qualitative grounding, has entered the dance academy and particularly university dance departments and is currently taught in workshops and “alternative” dance studios around the world. To her proposition I would add kinesiology, critical and cultural studies, and wonder if this idea might form the beginning of a template for the “new” morning technique class. In today’s contemporary dance world, dancers are faced with choosing among a vast array of traditional and newly forged pedagogical systems for training and conditioning. In practice, many of today’s dancers devise continuously changing personal programmes that reflect their two realities: (1) the specific needs of their own bodies, and (2) the demands of the choreographic aesthetics they are engaged in at the moment. It seems evident that few dancers (outside of ballet) choose to devote themselves to a single school of training these days, or at least not for a lifetime (as in the Modern Dance era), and unless they themselves become the authorized trainers of these schools and their franchises. Might this kind of eclectic, two-phase training programme become a structural foundation for dance education institutions, in which dancers are introduced to a wide range of options and methologies for creating their own future training programmes? There are currently several “generations” of new and time-honoured pedagogical systems competing for dancers’ attention in what one recently called “a supermarket of techniques.” Classical ballet and its stylistic variations have been highly codified over the centuries as have the handful of Modern Dance schools that predominated the first half of the last century. As discussed, a vast field of somatic and improvisational teaching flourished in the second half of the last century, along with the Children of the New Age. And most recently, an entirely new set of teaching systems, projects, and frameworks have flourished, formulated by mature artists, as if their legacy projects, with wildly diverse concepts about how to condition dancers’ (and non-dancers’) bodies. To name only a few: Frey Faust’s comprehensive “Axis Syllabus”, Ohad Naharin’s emotionally-oriented “Gaga Technique”, Mathilde Monnier’s “Exerce” masters’ programme in “recherche de représentation” for choreographers, Doris Urlich’s cathartic Fatdance technique and her “More Than Naked” workshops, and Linda Kapetana and Jozef Frucek’s revolutionary “Fighting Monkey Practice”. Each has developed an international network and community of devotees. I think it is now true that there is no “school” that currently predominates the pedagogical landscape. Within the postmodern dance community, the aesthetic style and philosophy of one’s training no longer necessarily forms the basis for one’s choreographic aesthetic, as is true for ballet and modern dance (and other classic and traditional forms). Instead, each creator is called on to become “a school in themselves”. Inventiveness and singularity are of the essence. Movement material, form and content, are more often derived from the demands of a choreographic concept. So how might a dancer gain their footing, quite literally, within this ever-changing set of demands on their bodies and minds? In creative processes with these kinds of contemporary dance-makers, dancers are continuously subject to exploring movements they have not tried before, over and over, and must quickly learn to adapt to movement configurations that challenge their previous skills. These dancers are also interpreters, often called upon to actively forge their own dance vision even as they adapt to that of the choreographer, and so to position themselves within today’s wide diversity of aesthetic philosophies. And so I suggest that we need new kinds of training programmes which acknowledge these realities and choices, educating intelligent dancers with agency, self-awareness and the ability to navigate the complex challenges of today’s dance world. New premises for our vocation? Passion remains, as ever, the core motivation of our vocation. But it is certainly true that, as a colleague exclaimed last week at the pan-Canadian dance presenters’ meeting, “Dancing is hard!.” It is indeed demanding labour. With the rise of dancer’s unions and more dancers in higher education, many are now concerned with the economic, psychological and even spiritual dimensions of our field. We ask: might safe working conditions, fair compensation, respectful relationships, and perhaps even fulfillment and joy, form the basis for our profession in the future? Dance ethicist Naomi Jackson reminds us that our culture of pain and sacrifice is a matter of our having (so long ago) adopted an unquestioned consequential ethics in which one must surrender all to the final goal of the choreography (or perfect body). But, she asks, why not consider instead grounding our dance world in “virtue ethics” in which we begin by asking ourselves “what makes a life worth living?” It is, of course, for us, continuing to dance as long as we live. Bales, Melanie & Rebecca Nettl-Fiol. 2008. The Body Eclectic: Evolving practices in dance training. Chicago, Illinois: University of Illinois Press. Calais-Germain, Blandine. 1984. Anatomie pour le movement. Tome 1: Introduction à L’analyse des techniques corporelles. Paris: Édition des Iris. Clarkson, Priscilla M. & Margaret Skinner. 1988. Science of Dance Training. Champlain, Illinois: Human Kinetics. Cooper-Albright, Ann. 2007. “Dance and Ethics: Why should we care?”. Conversations Across the Field of Dance Studies. Society of Dance History Scholars. Volume XXVII, No. 2: pp. 9-11. Dils, Ann & Ann Cooper-Albright. 2001. Dancing Histories, Moving Cultures: A Dance History Reader. Connecticut, USA: Wesleyan University Press. Fitt, Sally Sevey. 1988. Dance Kinesiology. New York & London: Schirmer Books/Collier Macmillan Publishers. Fortin, Sylvie. 2008. Danse et Santé: Du corps intime au corps social. Montréal, Québec: Presses de l’Université du Québec. Franklin, Eric. 1996. Dynamic Alignment Through Imagery. Champaign, Illinois, USA: Human Kinetics. Jackson, Naomi. 2007. “Dance and Ethics: Why should we care?”. Conversations Across the Field of Dance Studies. Society of Dance History Scholars. Volume XXVII, No. 2: pp. 26-28. Jackson, Naomi & Toni Shapiro-Prim, eds. 2008. Dance, Dignity and Human Rights. Maryland, USA: Scarecrow Press (Rowman & Littlefield). Olson, Andrea. 1991. BodyStories: A Guide to Experiential Anatomy. Barrytown, NY, USA: Station Hill Press. Rouquet, Odile. 1991. La tête aux pieds/Les pieds à la tête: Esquisses 89-90. Paris, France: Ministère de la Culture. Ryan, Allan J. and Robert E. Stephens, eds. 1987. The Healthy Dancer: Dance Medicine for Dancers. Princeton, New Jersey: Dance Horizons/Princeton Book Company. Professional street dancer overheard by author addressing a group of high school dance students at a school performance with Tangente in Montréal, Canada on September 25, 2015.